Whittlebury Park is situated next to the world famous Silverstone Racing Circuit and we have our own private paths into the circuit. Being the closest campsite to the circuit, our regular guests have been enjoying our facilities for many years. 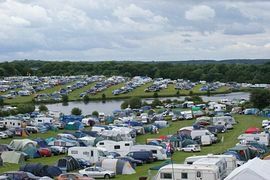 Whittlebury Park provides camping all year round, and parking for all of the major race meetings. Our facilities vary depending on how many people have pre-booked for an event. Our Championship golf courses are open to the public. Visitors are welcome to play subject to wearing the appropriate golf clothing and adhering to the rules of the course. Own paths into Silverstone Circuit. 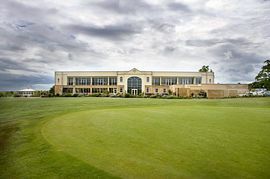 Whittlebury Park is located in the heart of rural Northamptonshire, yet is just 15 minutes from junction 15A of the M1 motorway. Exit the M1 (11miles) at J15A. Take the A43 dual-carriageway towards Silverstone. After 9 miles turn left onto the A413 signposted Whittlebury. Drive through Whittlebury Village to the far side and turn right into Whittlebury Park. Exit at J10 and take the A43 to Northampton. In Silverstone village, turn right following the signs for Whittlebury. In Whittlebury turn right onto the a413 signposted Buckingham. Drive through Whittlebury Village to the far side and turn right into Whittlebury Park. Alternative routes are available from the M40 via Junction 11 & Junction 9. Prices change depending on when you visit us.